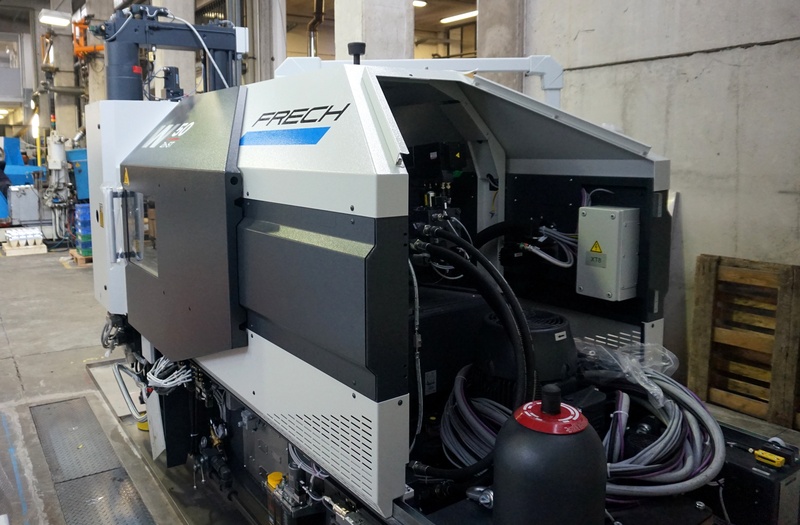 This year Bruschi has purchased new die casting machines to improve its industrial machinery in its foundry. Bruschi has always been aware of the importance of innovation and technology, the business philosophy is indeed based on three mainstays: mass-production, co-design and technology. It is possible to connect the new die casting machines to a camera that allows the check of the pieces inside the mold. This results in decreasing cycle time and avoiding damages of the mold. Pre-filling function enables the movement of the injection piston up to a determined stroke with the mold open. This action reduces the air quantity inside the mold and the cycle time. The new industrial machinery have a safety system that protects the mold from potential damages. Automated regulation enables a more accurate control of the closing force. 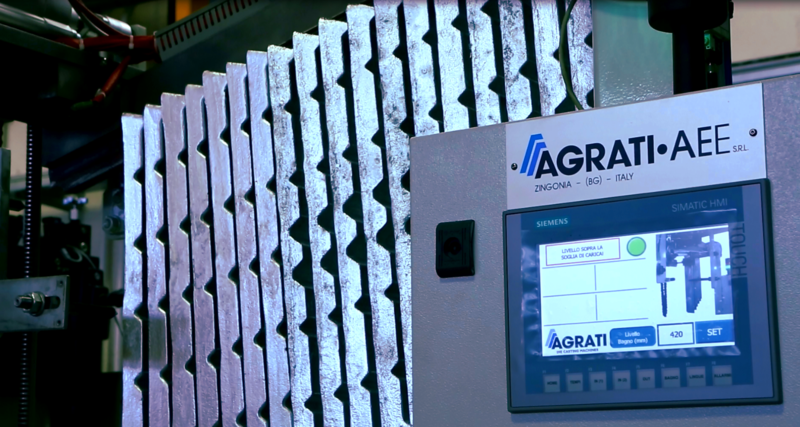 Agrati HC200 has an automated loading system of zinc ingots. This system generates two advantages: energy saving thanks to pre-heating and reduction of workload of the operator. The machine for thermal deburring is the Extrude Hone Thermal Deburring and it will be at Bruschi plant by the end of 2018. It is the first thermal deburring machine in Bruschi and it has been purchased because the presence of this machinery in the production department generates a quicker, constant and quality production. Furthermore, the machine produces an indirect advantage: reduction of non-compliance issues. As a matter of fact, components that undergo a thermal deburring process present a superior quality compared to pieces that undergo manual deburring. 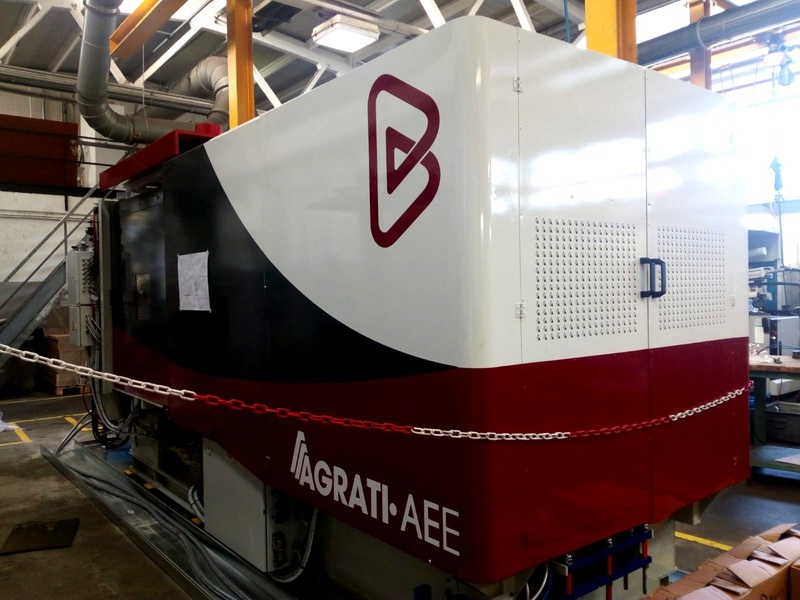 This relevant investment allowed Bruschi to align itself to the performances demanded by clients: thanks to technological development of new industrial machinery production benefits from a decreased cycle time and this translates into a more efficient and rapid service. In addition to that, new safety systems of these new die casting machines also generate a decrease of production times, because they lead to a reduction of the number of actions needed for the restoration of the molds. Furthermore, the purchase of machines from different suppliers allows the company to have a wider and diversified point of view on current offer. To always be up-to-date with news on zinc die casting and our foundry, subscribe to our blog.